I feel like I am in the centre of, and the most privileged person in the Morris Minor World. It is a pleasure to make it possible for the Morris Minor Owner to have a good time doing his car. It is exciting to develop new items. It is a challenge to improve the quality of parts. It is comforting to visit a country with a wonderful climate three times a year. It is interesting to learn about a different lifestyle, adopt the best and teach the best from our way of doing things. It is an advantage for us to have parts from Sri Lanka not viable to produce in our part of the world. More parts become obsolete over the years. As soon as we can delete a part from our list of wishes, we have to add a new one. Though we have all body repair panels, we still have to develop new, as rust will become a problem in new places. Rust in the front shock absorber cross member is a coming problem and we are now producing this. 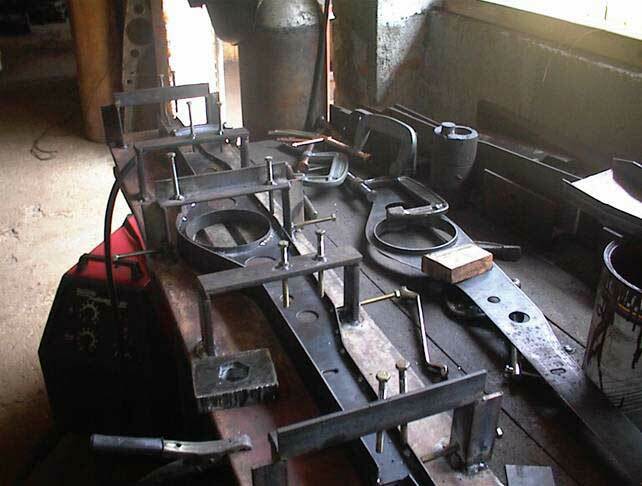 Actually Classic Cars, Sri Lanka, is producing over 500 different items, small and big, and the company is in some respect the lifeline for the Morris Minor. If too many parts are not available, it will be troublesome for the Owner to keep his car on the road and he will send it to the scrap yard. Do not believe your supplier, if he says sorry, not available. He may not know that the part is available again or he may not find it viable to stock the part. When you need a part and you know this part is not available, ask your supplier anyway. It might be available today. I am travelling to Sri Lanka the 20th of May and these days I am preparing and planning my work in Sri Lanka. Even though it is business, a good part of my activity is based on helping Sri Lanka. I am also fundraising for the Tsunami victims, but it is not easy this time. Only little is paid in to the account “Help Sri Lanka”. In January it was double the amount. The company or our people were not directly affected. For some years we have been working on a toy car, a pedal car, for the children. I am hopeful that we can complete it this time and have a few in the July shipment. There are also a lot of improvements on parts, new parts and corrections to deal with every time I am there. The new managers have now been with us for some time and I will leave more of my work to them. 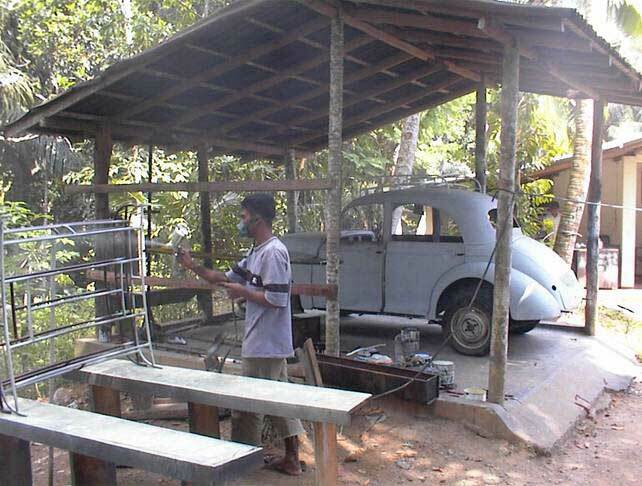 I want to have more time for visitors and time for visiting Morris Minor Owners in Sri Lanka. Also I want to have time for putting my own hands in things. I think it will be easier for the boys to learn about our standards, if I am working with them and can show them by doing – and I will enjoy it. Should you be in Sri Lanka, do visit the company and see for yourself what, and how we are doing. 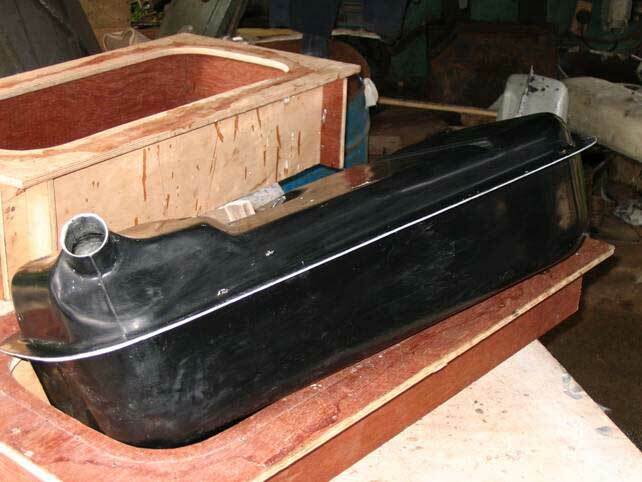 Newly produced petrol tank in fibre glass. It is a special material for the purpose and the outcome of our efforts is good. No more rust. No more problems with emptying the tank as the suction pipe is welded to the union. Original fuel pipe will fit. New site and buildings under construction for Classic Cars. 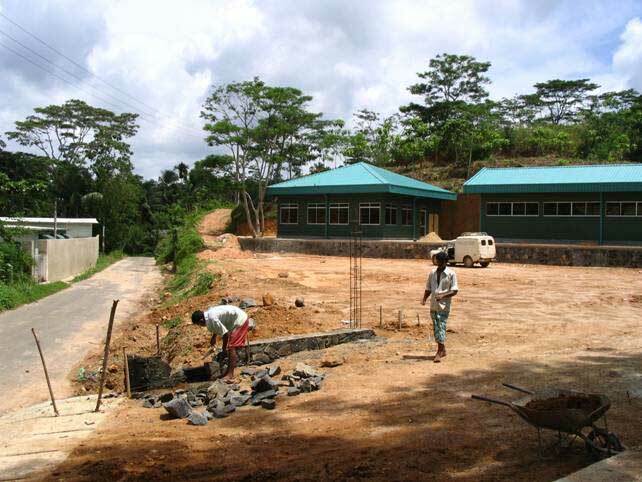 These days a new building for some workshops and welfare facilities are under construction up the hill. There is 35 meters in difference between the low and the high part of the 5 acres of land available for us. Rather primitive paint shop. We can not ask for top quality until we can provide some better facilities. Too little space in the workshops for the boys and the machinery. Hopefully we can soon move to our new premises. Welding jig for solid centre cross member. Morris Minors working for a bakery in Matara. 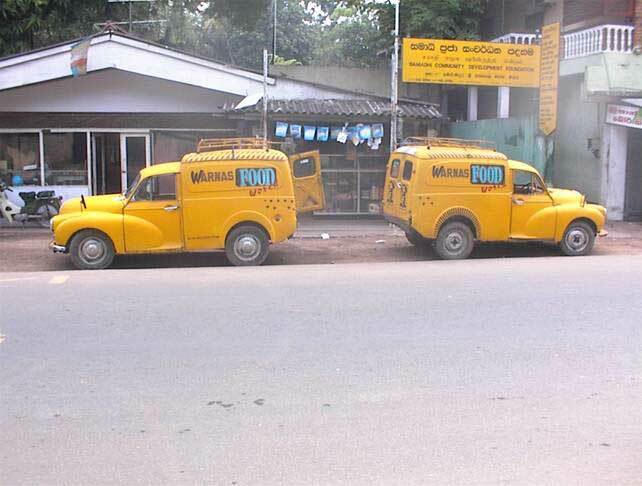 Young man helping his father converting 4-door saloon to Van. 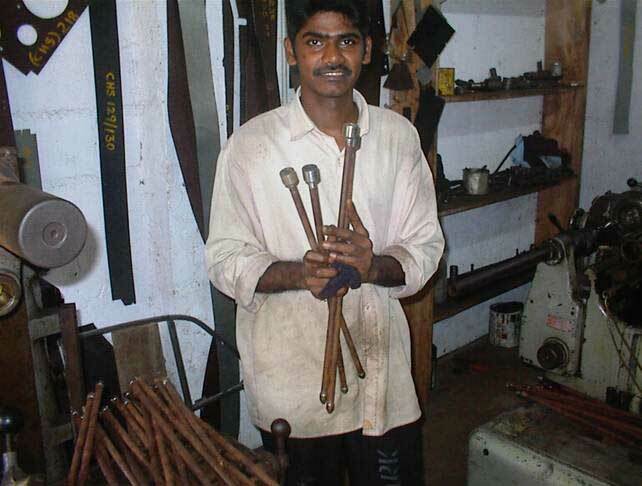 Chaminda is making the starting handles.